After repairs, flashing installation, metal lathe, and polymer modified concrete levels – we are ready to move on to the next crucial step in deck fiberglass waterproofing project. 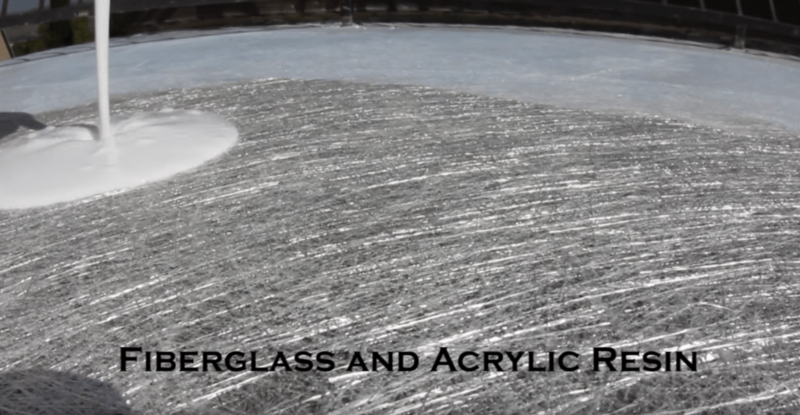 For complete deck waterproofing success, a middle layer of fiberglass and acrylic resin are used. Without a doubt, this is the definitive difference in decking success. After insuring that the concrete foundation is secure, we move to the deck fiberglass waterproofing layer. Indeed, we do not rush through any of these crucial steps. Because it is so important, the deck coating experience is a patient and skillful process. Prestige Deck Coating is ready to help. After the first layer of our 5 step system, comes the home run moment. Just watch it fly out of the park! Layer 2 makes all the difference! By taking a tip from the surfboard and boat making tradition, you stay dry. Key word: Fiberglass. Who knows waterproofing better than those who spend much of their time in the water? The question is, how do they keep from leaks, water invasion and sinking? The main step that sets us apart from many deck fiberglass deck waterproofing experts is our second layer of bonded chop strand glass fibers. The white layer is the key! First, we roll out the mat to custom fit your deck. Next, we fray the edges of the fiber so that no unsightly line shows through the final coating. At the same time, this overlapping technique strengthens the bond of the glass fibers. Not enough? 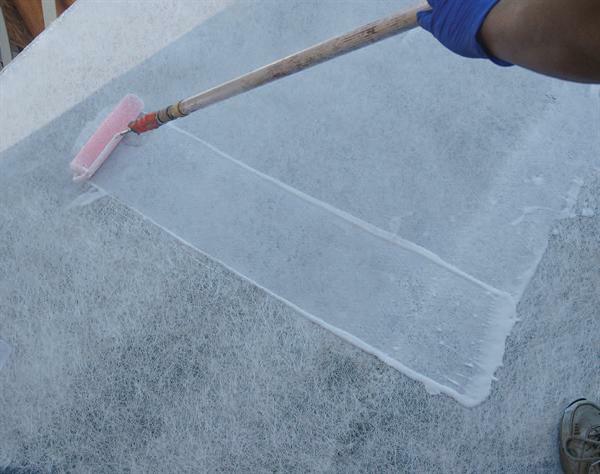 We plaster 1/8 inch tight fibers with industry grade bonder to completely seal your deck from water intrusion. Lastly, our bonding resin up goes up underneath the flashing and all around the perimeter of the deck. Insuring a watertight seal, we leave no edge unglued! 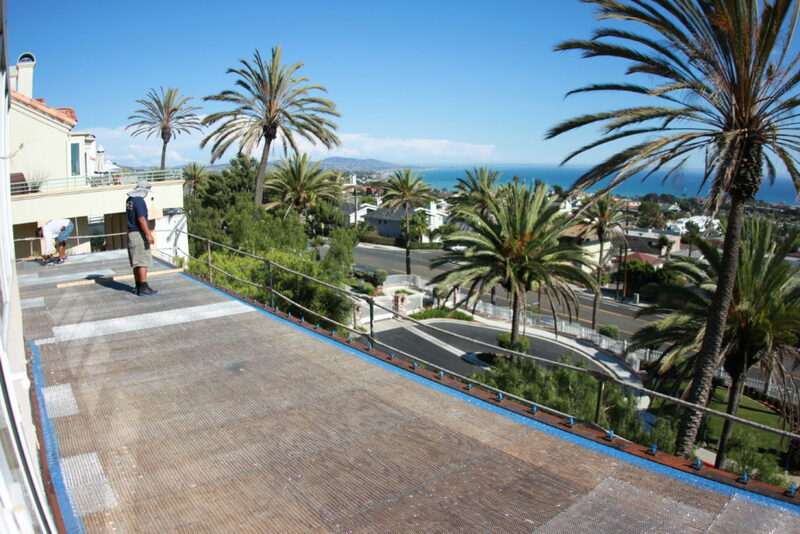 At Prestige Deck Coating and Waterproofing in Orange County CA, you can expect craftsmanship, honesty, and experience. Call us today for a free onsite estimate! Why? Because we like you!